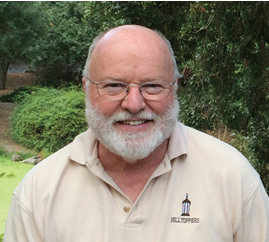 Father Richard Rohr is a globally recognized teacher and the author of numerous thought-provoking books, including Breathing Under Water, Falling Upward, and Immortal Diamond. 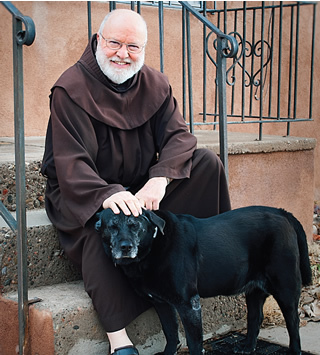 A Franciscan priest, he is the founder of the Center for Action and Contemplation and is Academic Dean of the Living School for Action and Contemplation in Albuquerque, New Mexico. 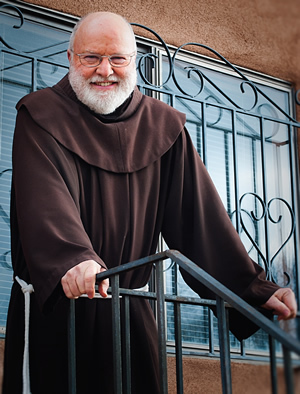 The school seeks to support students in “deepening engagement with their truest selves and with the world, discovering their authentic identity and growing their capacity to embody this calling in the world.” Father Richard’s teaching is grounded in Franciscan practices of contemplation and self-emptying, expressing themselves in radical compassion, particularly for the socially marginalized. His blog — delivered as Daily Meditation emails (CAC.org) — is read by over 200,000 people every day. Father Richard has been a featured essayist on NPR’s “This I Believe” as well as a guest of Dr. Oz on the “Oprah and Friends” radio show. In 2015 he was invited to join Winfrey’s popular “Super Soul Sunday” where his teachings reached millions of viewers. 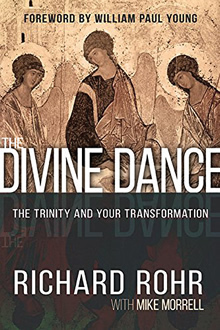 His newest book, The Divine Dance: The Trinity and Your Transformation, delves into the central doctrine of Christian belief and demonstrates how a deeper conception of Father, Son and Holy Spirit will transform our relationship with God and renew our lives. Gloria Gaither was able to speak with Father Richard in an interview that explores the beauty, mystery and love of God, in the powerfully poetic and challenging language for which both of these thinkers are celebrated. RICHARD: Great to meet you, Gloria. Thank you for all your good works. GLORIA: First of all, I want to say thank you to you because so many of your books have been impacting my life, especially Falling Upward. I think that changed my thinking about . . . just about everything. We have studied that book in our Monday night Bible study. RICHARD: Thank you for your trust. I’m honored. As I’m sure you’re aware, the demographics of Christian denominationalism are rapidly changing. More and more people are willing to read and trust others outside their religious group. I think it’s a good sign, and I believe it’s the work of the Spirit. RICHARD: I have to say the mystery of the Trinity has always fascinated me. As one of my friends just said to me about the book, “This is the summation of where God has been leading you for years.” I think that is true. Toward the beginning of the book I say in all seriousness, not trying to be clever or unkind, that I think a lot of Christians of all denominations still operate with a largely pagan image of God — a monarchical figure who is an object like other objects in the world. The great saints and mystics always said that God cannot be objectified by any means whatsoever. Objectification destroys the possibility of relationship, transformative relationship, to use your wonderful word. To be honest, I think this is why we see so much immature Christianity. In our churches there’s still a huge power differential, the very power equation that Jesus in Christ came to overcome. So you see all this pushback, people leaving Christianity altogether, a high degree of atheism and agnosticism produced in Christian cultures. It just isn’t working anymore. I think it reveals a development of consciousness, that people need a relational God who is involved in our lives. It’s probably our natural narcissism, but human beings aren’t interested in anything that doesn’t somehow include us. I believe that wonderful passage in the first chapter of Genesis is already saying that we are created in the image of a multi-form God, that God is relationality itself (see Genesis 1:26-27). If you’ve grown up with the idea of an old man with a white beard sitting on a throne, it sounds like I’m being clever or heretical or unorthodox, but it’s exactly the opposite. This view of God comes from an older tradition. I think it’s necessary to reform all of our Christian behaviors and practices and moralities from the bottom up. GLORIA: I like to say it this way: No matter what you think about God, pull the camera back. RICHARD: Oh, that’s excellent, yes. Pull the camera back. GLORIA: I think you hit on something. In the book you said, basically, we had this Greek idea of Zeus, a big, angry, huge power. We couldn’t figure out why he was mad at us, so we were throwing our babies in the river, or whatever. The whole reason for Jesus to come was to say, “You got it wrong; here is what I am like.” Jesus was — I like to think of it as a songwriter — He was the living, walking lyric to the song of God. GLORIA: He’s asking us to sing along. I mean, Jesus is saying this is what God is like. Well, now, in the light of what we are finding out about the cosmos, when we used to think the earth was the center of everything, and that was about all there was, now we discover that this God is unfathomable, more unfathomable than we ever dreamed. RICHARD: Or ever imagined. We can’t even imagine. GLORIA: We can’t. At the micro level we’re discovering in the DNA that the tiniest things inside of us, and what we are discovering in the cosmos, are a reflection of each other. It’s the same dance of three. RICHARD: That’s right, the galaxies and the atoms are mirrors of one another. GLORIA: It’s a song, a vibrating sound wave. It is actually the Big Bang that is still going. In the light of that, at a time when more people should be saying, “A-ha! This is the relationship I’ve been looking for,” and everything in Scripture says God has always been relationship from the beginning, don’t you think that instead of atheism spreading all over and people closing off from each other, we should be saying, “I get it. There is a God! He’s bigger than I thought, and He’s also smaller and more personal than I thought”? We’ve lost the joy. Isn’t that the Holy Spirit? RICHARD: Very good, the joy of the Holy Spirit. Well, you’re certainly going down the right path. If it is the Spirit teaching us, which is the heart of our belief — the indwelling Spirit — why wouldn’t those of us from different traditions be coming to the same conclusions? It seems like history is at a point of development and maturity where we can finally see our separation as the result of a number of historical accidents. The Trinity most came to life in the Eastern church. We in the West were always more practical, dynamic in a certain way, but not mystical and Trinitarian. Those two go together. GLORIA: Don’t you think that the “dismembering” of God was a result more of what I call the modern age where science was going to be our savior? We had to fit this God into our systems. RICHARD: Yes, that fits, too. After the Enlightenment and the triumph of rational thinking in the 17th and 18th centuries, we wanted to push back with what looked like intelligence. So we became a much more rational Christianity, an argumentative, dualistic Christianity, than a mystical, prayerful Christianity. You’re exactly right. GLORIA: You say in your book that we have two big groups on the landscape: those who throw the baby out with the bathwater and those who seem to have drowned in the bathwater. We all see this going on and I think the Body of Christ is agonizing in pain on both scores. You say, how about allowing the bathwater to keep flowing over you and through you? You use the images of flow and dance for something that all of us know is there but we can’t name, that in physics would be the connector in between the actual bodies of an atom, or the visible planets of the cosmos. RICHARD: Yes, yes, that’s where the power is — in between, in the relationship. You know that as a married woman, the power of your relationship with your husband. The relationship is almost a third something, bigger than either of you individually, and more powerful. RICHARD: I’m trying to distinguish transactional religion from transformative religion. Transactional religion is reflected in almost all of the earlier traditions, perhaps because until the middle of the 20th century, with the birth of psychology, anthropology and therapy, we had a magical understanding of how things happened. That’s why the word transformation is now becoming so common and so helpful in many circles. Transformation implies an actual change of consciousness, and therefore a new set of eyes by which you look out at the world. From that, I would assume, a new set of behaviors come naturally to you. It’s not duty and obligation: “I have to do this to go to heaven.” It’s just who you’ve become. As you know, I think Paul uses that phrase en Christo, in Christ, something like 100 times in his letters. He’s got a very corporate, participatory understanding of human knowing, of human consciousness. Paul doesn’t have our language, but I think he’s pointing to the same thing. Let me sum it up this way: transformation is the letting go of the small self, the “little Richard” self that I am, and living in a much larger identity and intention, which we would call the Christ Self or the God Self. It’s a different person. GLORIA: And we have to let go. I love what you say about the Trinity — God, Christ and the Holy Spirit are all one, but they are one in relationship, from the beginning. Jesus is the walking metaphor for what God is really like, the expression of the Creator, God’s bridge to us. When Father and Son are together in union, it is the Holy Spirit, this air, this joy, this connector, this ecstasy that is in everything. It’s like the three of them in one person are having a giant cosmic party and they’re inviting us in, because that is why we were created. RICHARD: Yeah, it’s so different than the reward/punishment/ punitive model that most of us grew up with. You look at Jesus’ most common metaphor for the end times — it isn’t Armageddon, it isn’t apocalypse; it’s a wedding feast, again and again. The Book of Revelation ends with a wedding feast. For some reason, the wedding feast was just too much to imagine for Christians. Of course that’s why I use the Rublev icon [pictured on The Divine Dance cover] because it images God as inviting us into this eternal dance or eternal banquet. There’s a little spot on the painting which is said to have originally held a mirror. These interactive three angels, enjoying each other while Abraham is preparing a feast, are really looking at and relating to somebody who’s sitting with and looking at them. RICHARD: Right. The observer of the icon is supposed to see himself or herself sitting at the table. By looking in the mirror, he has joined the banquet. It’s my favorite piece of religious art; in fact, I’m looking at it here on my hearth right now. It’s lovely. 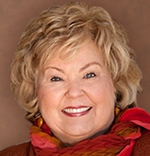 GLORIA: Does God also experience pain, and is His pain our refusal to join the dance? RICHARD: Gloria, that’s the way I would say it. If Jesus is the image of the invisible God, as Colossians put it, and the cross is the icon of redemption, of what God is doing, then we have to say in some very real, concrete way that God suffers. In the church I grew up in, so many of our official liturgical prayers began with “Almighty God.” We should equally say, if Trinity is true, “All Vulnerable God.” God is constantly emptying out, self-disclosing, which allows for the infilling from the other persons of the Trinity. If we had seen God as all-vulnerable, we would know that God is somehow in solidarity with us, with all suffering on earth since the killing of Abel, as the Bible actually says in several places, “from Abel until now.” God is somehow suffering with us, in us, through us. My goodness, that just changes everything. GLORIA: Everything. Maybe He suffers most because we refuse His longing to be in relationship with us. RICHARD: One reason we’ve had so much pushback, if God is just almighty — which is what most of our prayers implied — then of course we would naturally say, well, why doesn’t God do something about Syria? But if God is also equally vulnerable, allowing and suffering reality with us, in us, and through us, suddenly, we have a very participatory God that there’s no reason to reject, because God has totally embraced the human condition. The Eastern fathers of the church and so many of the early Desert fathers and mothers and mystics said again and again, God-in-Jesus did not just become “a” man, but “He took on human nature.” He took on the whole enchilada, as we say out West. He took on the whole physical universe as the Body of Christ. Oh, my goodness. Now we finally have a science, a cosmology that’s emerging very quickly, that parallels what we’re saying right here. GLORIA: Right, everything is connected. RICHARD: So we have a God who is showing Godself in creation as a constant movement of life and death, changing forms. Nothing really dies in the whole universe. It just changes forms. Physicists will tell us that. If we as Christians are going to say, which you and I believe, that the risen Christ is the final chapter of history presented in one man’s life and one man’s journey, then we have every reason to be hopeful and optimistic, despite everything that’s happening. The resurrection of Christ is not a one-time anomaly, but a revelation of what God is doing everywhere. This allows you to live hopefully, without shame. GLORIA: Can we go back to transformation a minute? We have all these misunderstandings of life, for instance, the honest atheist who has walked away because God doesn’t make sense — the God that stands and throws thunderbolts at us, hoping to catch us doing something wrong. That God, he can’t accept. OK, let’s say he’s honest about that. What will allow him to break through? Steinbeck, in so much of his philosophy and writing, uses the phrase “breaking through.” What causes us to break through to eternal reality? What are the two or three things that could happen, to make us say, “Oh, God loves me. He’s not out there, He’s in here, and I’ve got to change. I’ve got to live my life in gratitude, rather than in anger.” What precipitates a real transformation? RICHARD: You heard me say in the book that the two ordinary paths are great love and great suffering, and one invariably leads to the other. If you love greatly, you’re going to eventually suffer for the one you love. I also find that experiences of true awe or wonder — where we can bow before mystery undefended, where we can recognize our smallness in the middle of this hugeness, and yet that we matter — these experiences can also change us. Negotiating the field of mystery is for many people the beginnings of transformation. A lot of transformed people aren’t necessarily formally religious; I meet them everywhere — people who care about their neighbor, who care about the poor, who care about the planet, who are inside the flow. It’s very clear there’s been a transformational flow in their lives. 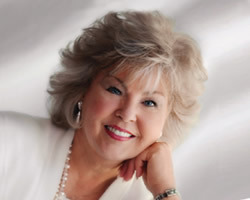 You and I know, Gloria, we meet many bonafide Christians who aren’t in any kind of flow; rather they are highly defended, often narcissistic people. GLORIA: Especially if their church experience has been defined by huge egos, manipulation, using God to get the behavior they want. RICHARD: You can tell transformed people in a moment, really. There’s a graciousness, an undefendedness, a freedom, an easy smile about them. They’re not preoccupied with security and status. We’re both familiar with the fruits of the Spirit that Paul describes toward the end of Galatians. You can easily recognize them in someone, even if they don’t use our particular Christian vocabulary. GLORIA: You didn’t say this in the book, but it was between the lines, I guess, that the evidence of this oneness with the whole personality of God — you call it a flow, a dance, a flame — is liquid; it’s not something you can nail to the wall in a “systematic theology.” It is the Spirit. The evidence of that is joy and rest. RICHARD: That gets right to the heart of it. It’s not this happy-clappy joy. It’s this deep, abiding joy that can quietly smile at nothing, because there’s an inner satisfaction, an inner sense of abundance, not scarcity. For me, that is a big giveaway of people of the Spirit. GLORIA: Let’s go back to what you said could precipitate a transformation. I love the two paths that you mentioned. You spoke of the kind of love that is beyond anything anybody can earn or manipulate, that amazing love that a child gives you. The other path is the one we don’t like to talk about — great suffering. We love the resurrection part of the Gospel, but we don’t like the crucifixion part. RICHARD: No, none of us do. I think if God could have found any other way to destabilize the imperial ego, our natural narcissism, our natural smugness and self-satisfaction, God would have chosen it. But some kind of suffering seems necessary. Now my definition of suffering is simply whenever you’re not in control. Whenever the human person isn’t in control, on some level, there’s suffering. It’s necessary for God to allow us to fall into this non-control and see what we do with it. It’s the only way we will learn how to hand over the control to a loving God, or to even our husband, a wife, or anybody else. Otherwise, we remain extremely self-sufficient, which for me is almost the definition of sin. GLORIA: Right, I think so too. GLORIA: Let me ask you about your whole concept of prayer. Talk to me about that. RICHARD: Paul’s wonderful line in Romans 8 is key for me, the whole paragraph where he says, “We do not know how to pray, so the Spirit prays in us and through us with groans unutterable.” I’m sure it’s said differently in various translations. Charismatics or Pentecostals might rightly call this the gift of tongues. A Jungian psychologist or therapist in the 20th century would call it the unburdening of the unconscious — where you’re in such a safe, loving place that you can face your own shadow and mistakes, which are usually lying in the unconscious self. Prayer is that place of absolute safety and rest where you eventually learn to abide. It’s not something you do. I’m lucky to live in a little hermitage; I’m in it right now as we talk. It’s just a little cottage behind a huge parish. It allows me to limit the degree of noise and distraction and interference. That’s a luxury, I admit. Most people don’t have that luxury, but they can still experience moments of resting in God. In the Gospels we find numerous allusions to Jesus going apart to pray, as well as His 40 days in the desert. I have to assume Jesus was not reciting formulaic prayer. The fact that the disciples had to ask him, “Give us a prayer, like the disciples of John the Baptist have” — and Jesus taught them that lovely prayer, the “Our Father” that we both know — leads me to the conclusion that formulaic, recited prayer is almost a concession on His part. There’s not a lot of talk about Jesus using formulas, but there are many references of Him going into extended periods of quiet, solitude, silence. GLORIA: It’s also a state of agony. I’m thinking of Gethsemane, where prayer was overwhelming. We have a gospel song that says, “Tears are a language God understands.” There are times when you do just groan. Have you been there? I’ve been there — where there were no words, and I didn’t know what to say to God. I guess agony is a prayer. RICHARD: You’re being very honest. Once you open up to the big picture, the reign of God, the spacious silence, it’s not just ecstasy that comes up, but it’s agony. There is great peace and freedom, but you also start carrying the absurdity of what’s happening in Syria, what’s happening all over the world, what’s happening in our own country. It just anguishes you. I’ve often said that to be a Christian is to agree to partly carry, in our own little way, both sides of the two nailed hands of Jesus, the two sides of almost everything. To carry both the death and the resurrection of everything is always an act of faith. It’s always a leap of faith that I think the Spirit empowers. We don’t know how to go there; we’re taken there. RICHARD: As Americans, we’re outcome-oriented people. I have traveled in so many poorer, developing countries over the years, where I met people whose psyche really wasn’t formed that way. Life itself was the first purpose, and outcomes were secondary. That’s a major conversion for us, as western, comfortable American people. GLORIA: You have a couple of metaphors in your book that you use again and again. I particularly love your metaphor of the Holy Spirit as fire. RICHARD: Of course, that goes back to Pentecost itself. I learned this a few years ago in reading N.T. Wright’s writings on Paul. He points out that there are two different accounts, in two different books of the Hebrew scriptures, of when the Israelites dedicated the first temple, Solomon’s temple. Both accounts describe the huge descent of fire that filled the temple, the shekinah glory of God. This, of course, gave the Israelites confidence that they had God. God was on Mount Zion, of course. That temple was destroyed, and the Jewish people went into exile. The only temple Jesus would have known is what we call the Second Temple, or Herod’s Temple, seemingly built on the same site. But there is no account of descent of fire on the day of dedication for the Second Temple, as Wright points out. This may seem disappointing, but knowing this background prepares you to understand the fire of Pentecost. At Pentecost we see clearly that now God isn’t in the temples of stone. GLORIA: He’s out of the box. RICHARD: Yes, God is creating mobile temples. The new temple, as Paul says again and again, is the human person. Not a stone is going to stand on a stone. I wish we Catholics had learned that, building huge, beautiful churches all over the world. As soon as you do that, on some subtle level, you’re saying God is in here and God is not out there. You divide the world into the sacred and the secular. The Spirit as fire is a multivalent metaphor. It can mean warmth, it can mean protection and comfort. It can also mean destruction. I think it’s able to carry all of those levels of meaning. The fire of the Spirit warms, enlivens, remolds, but also destroys the dross, that which we don’t need anymore. GLORIA: It melts the boundaries; it melts the walls. RICHARD: Melts boundaries, excellent! You could go on and on with the metaphor of fire. As I say in the book, notice that all of the metaphors that we’re given for the Spirit are dynamic, always moving — bird descending, fire blowing, wind, breathing. GLORIA: When I think of the tongues of fire at Pentecost, I think too of the burning bush Moses saw that was not consumed. Our passion for Christ and the whole, the work of the Holy Spirit, should be a passion that never burns out, that is always trying to unite God with His people. That passion never stops. GLORIA: The more ego we lose, the more suffering brings us into the joy of submission to this amazing God and the Holy Spirit. The more that happens, the more we are terrifying to other people. There is something disarming about the restored innocence of people who have been through all that we’ve been talking about. They are scary people, because . 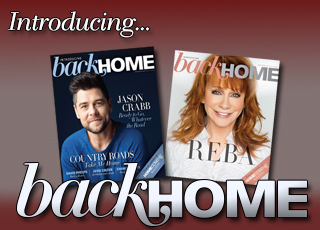 . .
RICHARD: Because they’re not subject to the usual buy-offs and pay-offs that we’re used to. We know most people can be bought by flattery and money and promises of security. If someone has really moved to a higher level of motivation, which is where the Spirit moves you, you’re frightening to people, because they know they can’t control you in the usual way. Those of us in religious orders took a vow of poverty. It seems strangely named, but its basic purpose was to share our income and resources with the whole community. Any money I earn from books and talks over the years does not belong to me, but to the Franciscans. And we give almost all of it away. I think a person who has been freed from the usual bargaining games is dangerous, is threatening. They have an innocence and a freedom that doesn’t play the usual games. St. Francis’s humility — recognizing he was a little person, but great in God’s eyes — was such a huge thing. This identity allows you to really take responsibility for your mistakes. I believe it more than ever as I look back at my whole 73 years. RICHARD: You’re the one who took the time. It was an honor to talk to you. I’m honored by your trust and your beautiful spirit, and I hope maybe we’ll meet some day.